The year 2015, marks the 60th Anniversary of the Freedom Charter, adopted by our people in 1955, which laid the foundation for a national culture based on a set of values that underpin the new constitutional dispensation. Today, South Africa remains committed to the democratic values of human dignity, equality, and freedom. As public representatives, our people have given us a mandate to continue to advance human dignity, the achievement of equality, the advancement of human rights and freedooms, constitutional multi-party democracy and the rule of law. As the apex of accountability, the South African Parliament continues to play a critical role in the realisation of these democratic values through its legislative, oversight, and international participation roles. The 5th Parliament has completed the first year of its term, which has between vibrant, robust and yes, messy at times. The building of a capable and productive parliamentary service that delivers effective support to Members in order to efficiently fulfil their constitutional mandate. These priorities are informed by the objectives of the National Development Plan 2030, the SADC Revised Indicative Strategic Development Plan, as well as the African Union’s Agenda 2063 strategy which all aspire to create an Africa that thrives on good governance, democracy, respect for human rights, justice and the rule of law. Gender equality is a fundamental human right and is an integral part of continental and regional integration, economic growth and social development. Therefore, the Fifth Parliament, through its constitutional mandate, is committed to initiating and facilitating the removal of all forms of gender inequality at all levels in South Africa. This commitment complements the global shift from the Millennium Development Goals to the Sustainable Development Goals which places women’s issues at the centre of the world’s developmental agenda for the next 15 years. 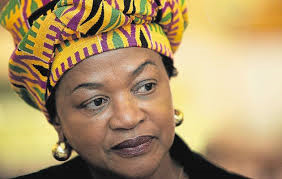 Parliament, through its participation at the SADC Parliamentary Forum and the Pan African Parliament (PAP), will continue to advocate for women’s emancipation and remain dedicated to overseeing the Executive’s implementation of regional and international commitments pertaining to women’s rights. With the advent of globalisation and regionalism, parliaments are required to broaden their scope related to international relations in order for them to effectively subject governments to the same degree of oversight as done at national level. In further advancing the long cherished goals of Africa’s Economic Integration through the Agenda 2063 and regional integration in SADC, Parliament will host the 37th Plenary Assembly of the SADC Parliamentary Forum, in July 2015. The theme of the meeting will be “Industrialisation and SADC Regional Integration”. We will also join the Inter-Parliamentary Union (IPU) and the United Nations High Commissioner for Refugees (UNHCR) in hosting an international Conference on Nationality and Statelessness possibly towards the end of this year. This Conference is especially relevant to us, given the misfortune that befell foreign nationals that befell our country recently. In our first year as the Fifth Parliament we have sent numerous Parliamentary missions to observe free and fair elections alongside our regional and continental counterparts in Mauritius, Zambia, Lesotho and Botswana. As the 5th Parliament, we will continue to highlight issues of national importance and promote social cohesion. In May, our Africa Day celebrations, emphasised the importance of members of parliament cultivating an African identity, socio-economic integration and cohesion across the continent. We continue with Parliamentary Imbizo wherein Parliamentarians interact with communities listening to their concerns and demands on matters of service delivery across the country. We will continue these interactive process of meeting our people at Parliament and their communities to ensure that the vision in the NDP, SADC Master Plan and the African Agenda 2063 is fully understood and appreciated by all of us. As we move forward, the Fifth Parliament will strengthen its processes to ensure the successful implementation of Government policies at national, regional and continental levels. As overseers of the Executive and any other organ of state, parliament will continue with robust and systematic oversight, to accelerate service delivery, so that we build on the gains made over the past 20 years, to further ensure that our people can enjoy a better quality of life in their lifetime. This is what our people deserve.